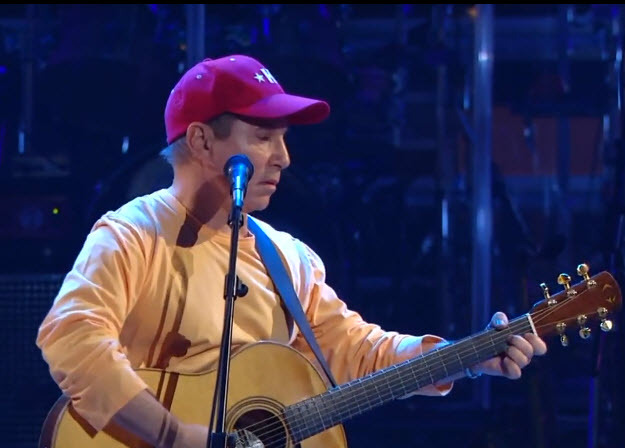 I first heard a piece of music this week that touched me very deeply, Brian Wilson’s ‘Surfer Girl’, as performed solo by Paul Simon in “An All-Star Tribute to Brian Wilson” from 2001. 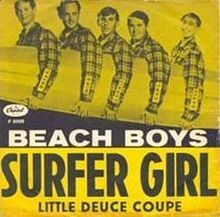 I’m guessing we all pretty much agree that the original ‘Surfer Girl’ is a pretty schlocky song. The lyrics couldn’t be more callow. The melody and vocal harmonies are Brian Wilson clawing his way out of the gooey larva of his California pubescence. It even takes a back seat to ‘In My Room’, the other slow song from the Beach Boys’ third album (1963). And we all know what happens in the back seat of a Little Deuce Coupe. Thanks for sharing that, Brian. Go to your room. Ok, so Brian may not be competing with Ludwig Wittgenstein, but I am among those who consider him to be THE musical genius of contemporary popular music. 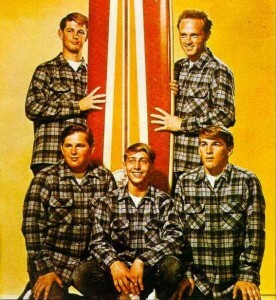 Admittedly, ‘Surfer Girl’ ain’t the one I would choose to have played at his wake. The works of his fully-fledged genius begin to trickle out a year (two albums) later, with ‘Don’t Worry Baby’ and ‘Warmth of the Sun’ on “Shut Down, Vol. 2”. And then bloom a year after that (1965) on the legendary Side B of “Beach Boys Today!”: ‘Please Let Me Wonder’, ‘I’m So Young’, ‘Kiss Me Baby’ (see also SoTW 004), ‘She Knows Me Too Well’ and ‘In the Back of My Mind.’). Not to mention, of course, “Pet Sounds” (1966), the musical opus magnum of our generation. 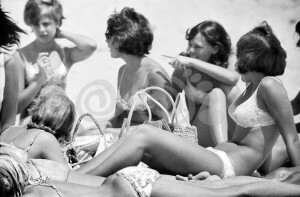 What the song ‘Surfer Girl’ does offer us musically is an early hint of what I call Brian’s Cubist melody lines. He’s doing an arpeggio on familiar chords (‘Little surfer, little one’), but then it opens up (‘Make my heart’) into a new context, and then follows this beautifully shocking line even further afield (‘come all undone’). If you’re into chords, it goes like this: C Am F G (ok so far), but then Cmaj7 C7 F Fm6! Huh?? WTF? What’s wrong with this kid? I’m not going to talk here about how much the world wants brilliant reworkings of some of Brian Wilson’s unexplored works of genius. I have enough self-awareness to realize that I get obsessive on the subject and cause people (like the very fine Danish choral arranger/conductor Jens Johansen) to carefully edge away from me to another room. No one (until Paul Simon here) has succeeded in unlocking the Brian Wilson treasure chest to my satisfaction. I won’t even mention the Billy Joels and Ricky Martins from the “All-Star Tribute”. Here’s a pretty typical example of a competent a cappella group, Rockapella, missing the point of how to cover ‘Surfer Girl’. Even some artists I greatly admire have been daunted by the original material. Here are my friends The Real Group, and here are my friends The Swingle Singers, both covering ‘God Only Knows’. I think neither really master the material. It’s hard to blame them. Paul McCartney’s called ‘God Only Knows’ the greatest song ever written. Here’s Paul making a mess of ‘God Only Knows’ with Brian. ”We were doing a benefit together, and at the sound check I lost it, because it’s very emotional, this song. I think ‘Oh my God, I’m singing it with Brian’, it just got me. I couldn’t do it.” I give both TRG and The Swingles credit – they do a better job than Paul and Brian himself. But there’s so much more still to be mined. The one and only cover I’d heard before that to my ears really showed how much gold there is in them thar hills is that by a not-yet-fully-appreciated young artist, Kat Edmonson. She’s a knockout songwriter, and does great covers as well. On her 2012 album ‘Way Down Low’, she tackles ‘I Guess I Just Wasn’t Made For These Times’ with taste and intelligence and talent, and comes up with a gem of a gold nugget. When I talk about covering a work of substance, I believe it should be a piece that deserves to be revisited, that has musical value beyond that which earlier versions have found and which deserve to be explored. The original ‘Knocking on Heaven’s Door’ is great, but would have been better served left alone. All of its value was right there in the original. More is less. If I have a reservation, it’s that Mr Burroughs chooses material from the ‘Smile’ era, when Brian was in full control of the studio and free of the fetters of Top 40 considerations. 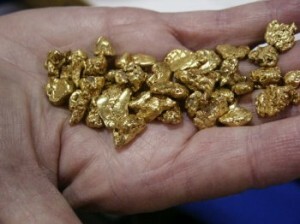 That’s not mining, that’s plucking gold from the surface. Still, it’s gold, and I just discovered this. Give me a few thousand more listens to coalesce my opinion. Brian Wilson’s early masterworks have so much still untapped that it breaks my heart to not hear this treasure appreciated anew. Jens Johansen reworked fully realized jewels such as Joni Mitchell’s ‘Blue’ and Paul Simon’s ‘Still Crazy After All These Years’. How much more fitting that he apply his great talent and that of his marvelous Danish rhythm choir Vocal Line to treat unrefined treasures such as those of Brian Wilson before he had his run of the studio with “Pet Sounds”. Or perhaps Clark Burroughs. Paul Simon has recorded very few covers of other artists. With Art he did ‘The Times Are A-Changing’ (before he knew any better) and a couple of Everly Brothers just for fun (‘Wake Up, Little Suzie’ and ‘Bye Bye Love’). Much later he did a more respectable job on ‘Here Comes the Sun’, here solo and here with David Crosby and Graham Nash. But neither is really revelatory. More successful is the collaboration with James Taylor and Art Garfunkel on Sam Cooke’s ‘Wonderful World’, but that’s really James’ work rather than Paul’s. 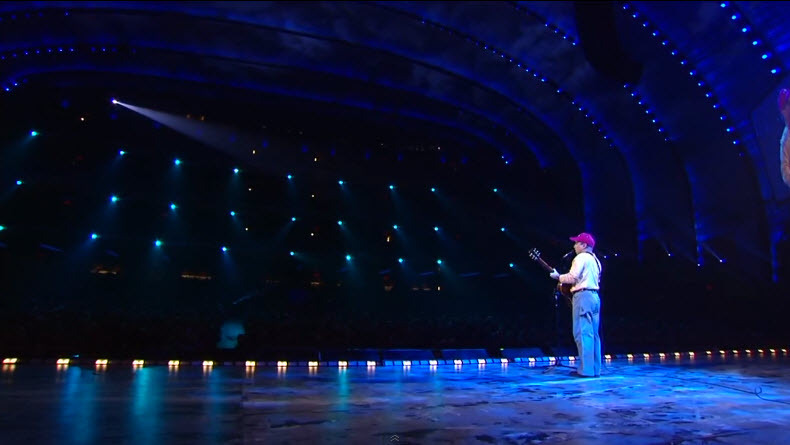 Paul Simon is a remarkable artist. He can sing a phrase that’s so poignant and emotionally precise that it will echo in your heart for weeks. He’s also a perfectionist. He gets oodles of credit for his songwriting and even his singing and guitaring, but I think he’s too seldom recognized for his production and arrangement abilities, even from the old days of Simon and Garfunkel. For his live performance of ‘Surfer Girl’, he clearly did his homework. The melody line is lovely and just a bit challenging. Paul employs it as a springboard for his own unique, affective talent and thereby both pays due respect and enriches the original. Listen to the beginning of the second verse. He sings ‘I have seen you on the shore’ in falsetto up an octave, and you’re saying ‘Oy, the melody goes up, he’ll never make it!’ But with a feat of inventiveness, ‘the sound of surprise’, he creates a beautiful new descending line, moving seamlessly from the head voice to chest voice. He looks the line ‘I would drive you in my woodie’ right in the eyes, without flinching, and delivers it with compleat sincerity – neither pandering to the shlockiness nor pretending that it’s anything other than what the song really is: a beautiful, heartfelt ballad of unrequited teenage love, performed impeccably. What more could we ask for? Standing by the oceans roar. 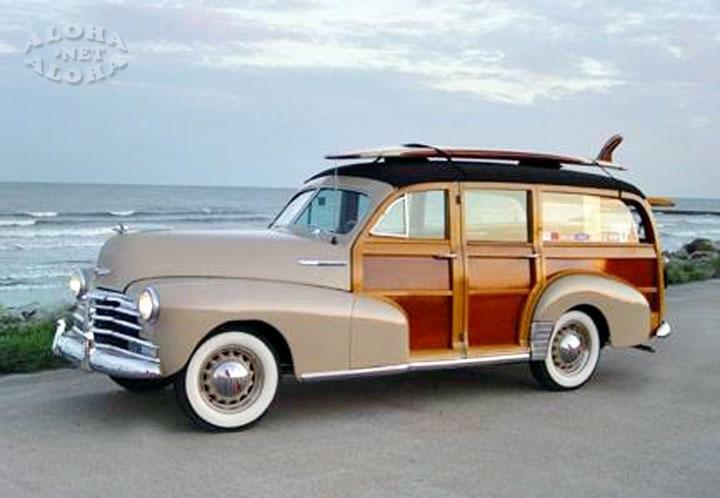 Do you love me do you surfer girl? In my woody I would take you everywhere I go. That was worth the cost of this subscription. I didn’t there was anything special about Paul Simon’s version of Little Surfer or Carly Simon doing In My Room. I agree with you that the 2001 tribute didn’t seem to offer much that was good. I did like Kat Edmonson doing I wasn’t born for these times. It’s much better than the Beach Boys’ version which is of no interest to me at all. Recruiting Animal, I have to respectfully disagree with your assessment. Simon’s absolutely sublime interpretation of ‘Surfer Girl’ is a thing of true beauty. Not only does he honor the original in heart-achingly pure fashion but he firmly stamps the song with his own – yes, I must use a terribly overused word here – genius. It depresses me some that this piece of music doesn’t affect you in the way it does me. Incidentally, Jeff, I’m also going to respectfully disagree that the original ‘Surfer Girl’ is schlock. As someone who grew up in Southern California and pined over every beautiful girl here, this song says everything I always wanted to and never did. Perhaps that’s why the song resonates so deeply with me. I like Neil Young’s version of Stranger In Paradise. It’s quite different from most of the schmaltzier versions. I have to disagree with the author’s comments that the song Surfer Girl is schlocky and callow. I think it stands up just fine to the other Beach Boys tracks he mentioned, and it’s always been a favorite of mine. Brian’s songs have always had an innocence to them, that’s part of their charm. And of course the Paul Simon version is inspired. No surprise, considering we’re dealing with two musical giants of the ’60s (and of the 20th century in general).